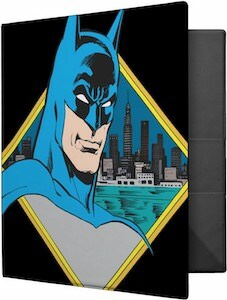 Now true Batman fans can have a cool black Batman mouse pad. 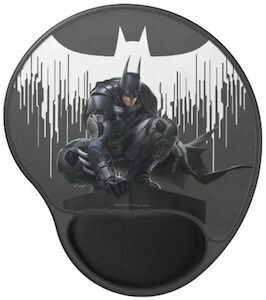 This is a mouse pad with a gel palm rest for ultimate comfort and on the mouse pad you can see Batman in his classic post and in the background you can see the Batman logo in white and it looks like it is dripping paint. So now you can have the perfect Batman mouse pad for surfing the web and maybe even do some work in the office. And like any good mouse pad this Batman mouse pad has a non skid back to keep it and place and it is even dust and stain resistant to keep it look amazing. We can all try to go digital but with this set of Batman pens, it is hard as they are just amazing. These are Funko Pop pencil topper pens and they come in a pack of 4. 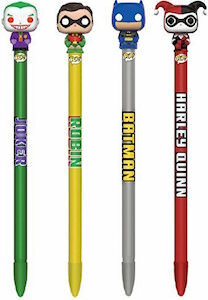 The pens show the classic Batman characters and you will find Batman, Robin, Harley Quinn, and The Joker in the set. Each character sits on top of its own pen that has their name on them and has a cap that prevents it from leaking. Just use these cool pens at school, the office, and at home and everyone will know that the Batman comics are on your mind. This Harley Quinn notebook is what you need for work and school. 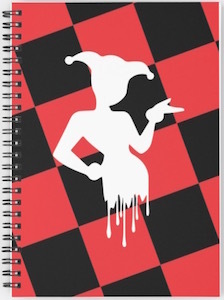 Now you can have a spiral notebook that has a red and black checker pattern on the front with on top of it an white silhouette of Harley Quinn and the bottom of the image looks like dripping paint making it extra special. 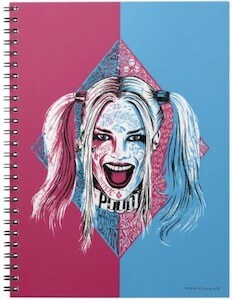 Inside the Harley Quinn notebook you can choose between ruled or graph paper so that you get the notebook you need. And there are 120 pages for you to fill and that makes it great for school, work or maybe even as a journal at home. This Batman pencil case is great for school or work and can even be used at home. 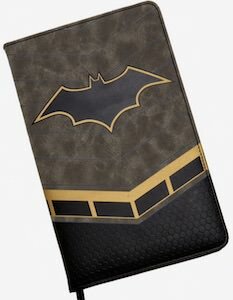 The nylon pencil case is black with the famous yellow Batman logo on it. And both the front and back have the same design. Just put your pens and pencils in the case and zip it up and you are ready to take you writing goods where ever you want. 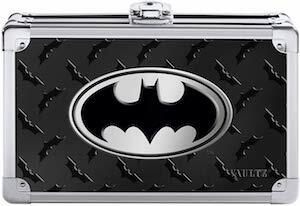 A pencil case is great for back to school as now you can make you child happy with a true Batman pencil case. Now there is a USB flash drive for fans of Batman and Superman. This is a 16 GB flash drive that has the logo of the Batman V Superman movie on it and has a retractable USB connector so that it is secure when you are not using it. The Batman vs Superman flash drive is made by Emtec and has a capacity of 16GB making it perfect for work, school and other files. No need to worry about your data any more because if two DC Comics superhero’s keep na eye on it then it has to be secure. Now going to school or work will be more fun because you can write you notes in this Harley Quinn notebook. 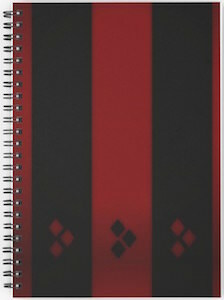 This spiral bound notebook comes with graph or lined paper and has a cover that is a dull black and red stipe with on the lower part the diamonds that Harley Quinn is so fond off. The Harley Quinn notebook is 8 x 6 inch and has 120 pages giving you lots of room to write and the spiral makes it so much easier to use. Office, school or at home you always need something to write on and a Harley Quinn journal would be a great piece for that.